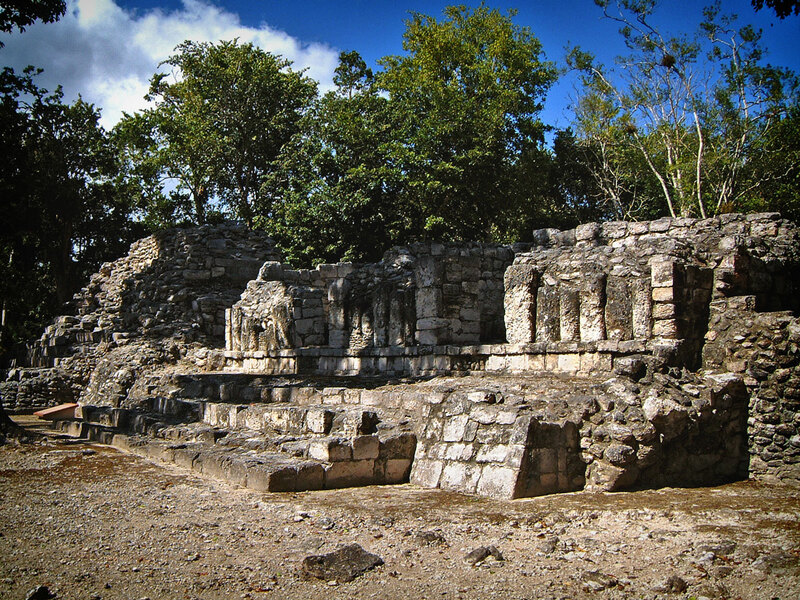 Structure III includes Chicanna’s only functional ceremonial pyramid, which is located in the far left of the photo. This is possibly the eldest part of the structure. The complex of rooms that were added to the eastern side of the pyramid were still being developed in the 11th century, which suggest they held special value. See the article on Structure III for more information.